Behold! Power Armor parts to attach to your Assaultron! These parts are for your Assaultron only. REQUIRES: Automatron DLC, Far Harbor, and Contraptions Workshop. 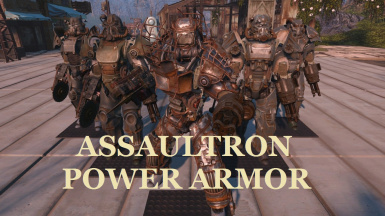 Desc: This mod adds powerarmor parts for Assaultron. All Vanilla Parts are created at the Robotworkbench. All parts are the same effectiveness. They're strong but high cost. You'll need Armorer Perk rank 4 and Science rank 4. Color is changeable! All vanilla color supported, DLC color for DLC edition only. 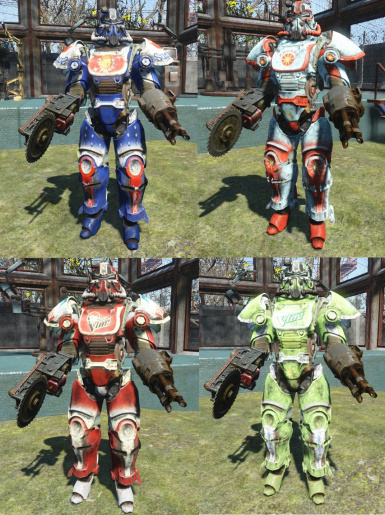 Faction Color Breakdown: T-45 Minuteman, T-51 Railroad, T-60 Atomcats, X-01 Institute..
X-01 Torso and Arm Parts have two shoulder variations. You must use the base parts for the body, leg, and head exclusively. Sorry! Q: Can I change Raider Armor Color? Q: Does it need a Fusion Core? A: No Fusion Core needed. 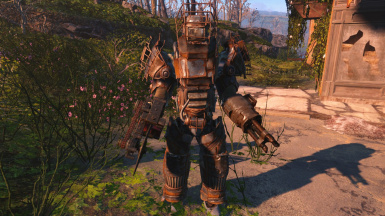 Assaultron can move by itself. Q: Aren't there other Hand Parts? Fists? A: Sorry, Hand Parts were too difficult to implement. If someone can get it to work, though, that would be great! A: Sorry, angle adjustment is difficult, but when moving, you won't notice. Q: Isn't there BOS decal? A: BOS emblem show the class grade of a player. Robot do not have access to that. A: Didn't make it better, so it wasn't added. 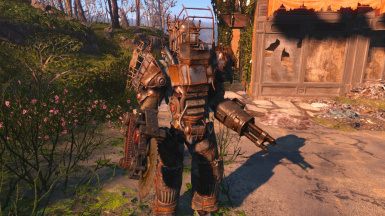 Q: Assaultron? I like Protectron better Than Assaultoron. A: The Protectron is perfect design and very appealing, but there is no room to work with! 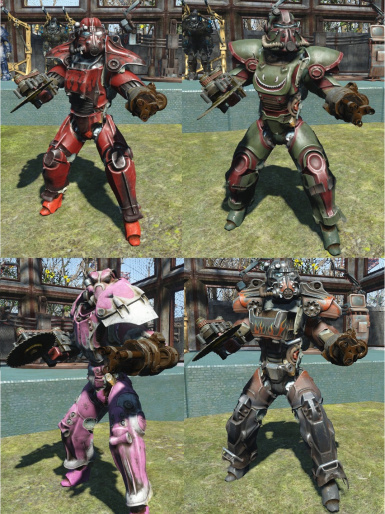 (( Q: Shouldn't charge Companions with PowerArmor? Is there this Mod need?